“Halloween Trouble” was this year’s creation of AE/MS second graders. As usual, there was no lack of creativity in formulating the story. 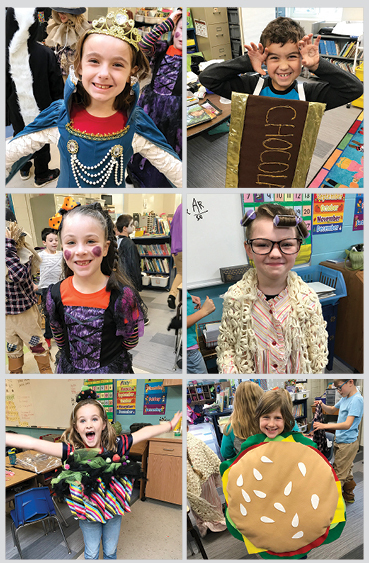 The students voted on 21 of their favorite characters, which included (among the usual spooky ones) Queen Elizabeth, Chocolate Man, Evil Stepmom, Evil Granny, Evil Cupcake, Evil Hamburger and Evil Gummy Bear! Try putting those into a plausible story. But… the kids did it and the full-school audience approved! Gotta love the creative genius of 7 and 8 year olds!